Today, I woke up early, had a relaxing breakfast in the garden and spent the day working out a number of issues with my technical equipment. I double checked my gear list and made a list of items to purchase from the bazaar tomorrow. 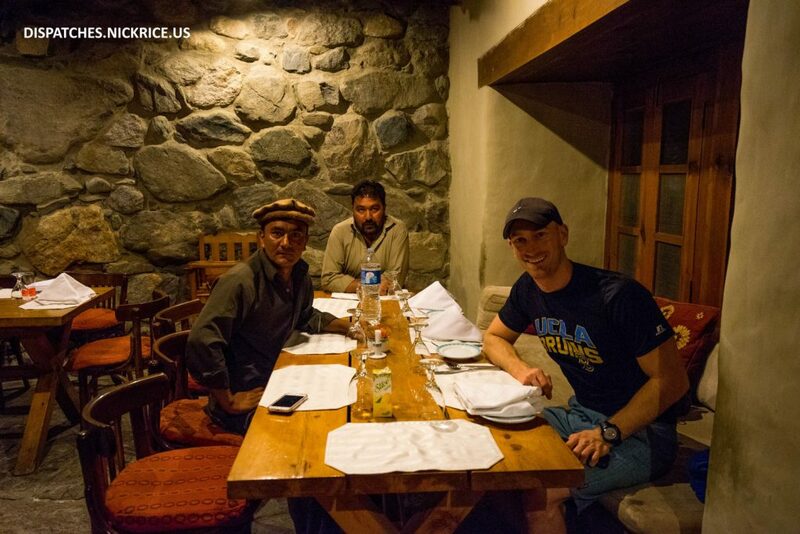 I ate lunch with Kelly and the Russians and took a jeep to Shigar (a 45 minute drive from Skardu) to have a delicious dinner in the Shigar Fort.